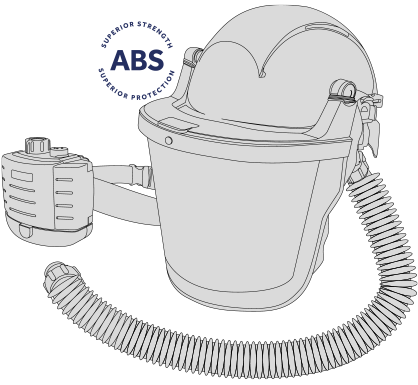 WHY SPECIFY ABS... - Centurion Safety Products Ltd. 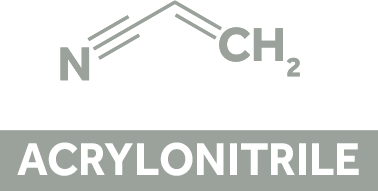 The aim of this landing page and white paper is to validate Centurion Safety Products rationale for transitioning their Above-The-Neck portfolio to Acrylonitrile Butadiene Styrene (ABS). Currently the protective shells at the heart of the head protection product range are made from either semicrystalline High-Density Polyethylene (HDPE) or amorphous Acrylonitrile Butadiene Styrene (ABS). 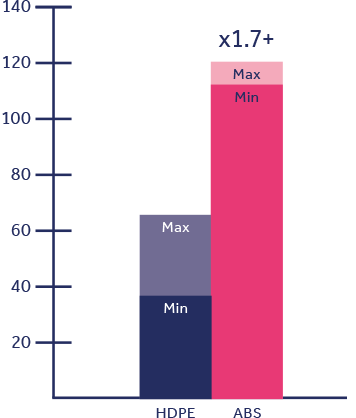 Entry level products are often manufactured using less expensive, easier to handle HDPE, whereas premium products are manufactured from a specific engineering grade of ABS. 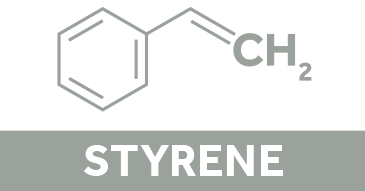 Currently there is confusion within the marketplace regarding polymer choice and rationale. This is by the fact that both the HDPE and ABS polymer families have thousands of respective grades with significantly different properties. Not all grades of ABS or HDPE can be expected to have the desired performance characteristics being sought in the final product. ABS is a terpolymer; a long chain of units chemically bonded together, made from three distinct monomers, which is a basic unit that is repeated to form a polymer material. 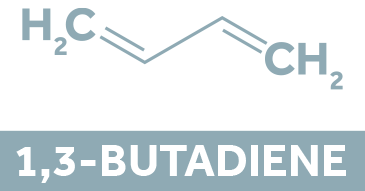 The chemical compound make up of ABS is illustrated below. 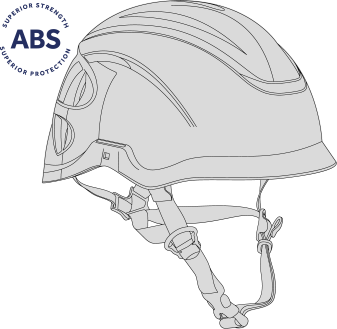 WHY SPECIFY ABS IN ABOVE-THE-NECK PROTECTION? What might matter to end users of head protection? Both ABS and HDPE have quite different properties, that can be leveraged to produce Above-The-Neck protection products of a huge variety. There are examples of both ABS and HDPE shells out in the marketplace that comply with their performance marketing literature, so from a material perspective, it is possible to achieve what the end users are demanding. 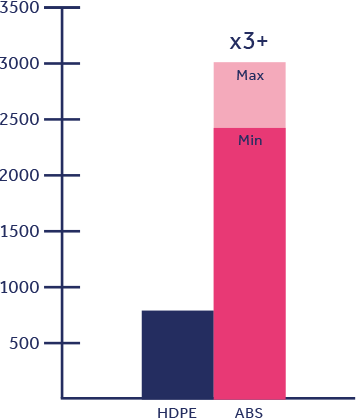 European manufacturers tend to suggest that products will sustain performance claims for five years from manufacture. Centurion, particularly confident in its majority ABS range, typically states five years in storage plus five years in use. SO WHICH MATERIAL WOULD YOU SPECIFY TO PROTECT YOUR MOST IMPORTANT ASSET? 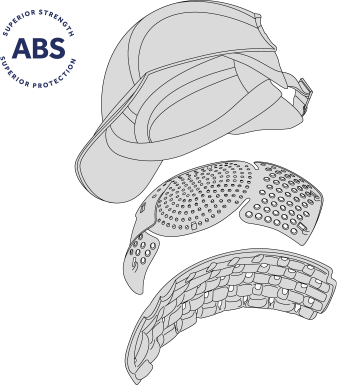 The material properties of ABS allow for the often robust environments to which safety helmets are exposed, whilst providing a protective shell of a weight that is comfortable to wear for 8-12 hours at a time. 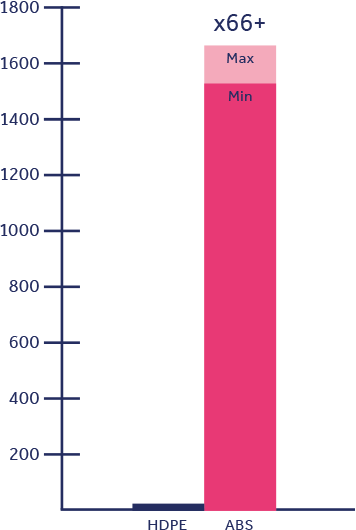 The superior temperature range and impact performance offered by ABS, makes it a clear choice for a premium product that aims to exceed standards written a long time ago.